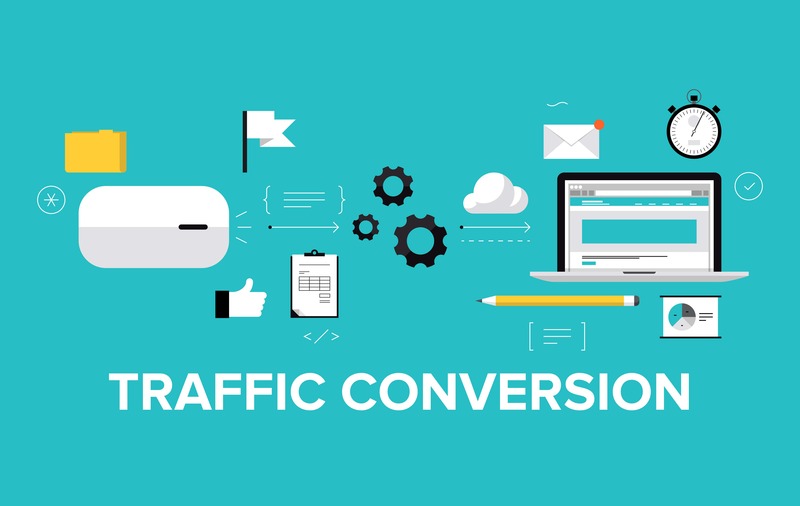 Does Your Web Site Have Good Traffic, But Low Conversions? Segment your traffic during analysis so you can see where exactly visitors are coming from and what sources are generating your biggest conversions. This can let you adjust your strategy to focus on or eliminate problem areas. You may find that, for instance, most of your conversions are from Google searches but most traffic is from advertisements. Track the top landing and exit pages. By finding out what page most users start at on your site, and the one they most often leave from, you can try to figure out what might be attracting or repelling them. Is there something in the layout or content of these pages that stands out? One possible source of conversion difficulty may be your web site’s contact form: the set of fields users need to fill out as part of getting an account, buying a product, getting a free gift, or whatever your call to action is meant to encourage. Contact form optimization is an underutilized but incredibly valuable tool that can make the final stage of reader conversion more reliable and smooth. Contact form optimization works best with around three fields and starts to show a marked decline in conversion rate when you approach six fields or more. The reason why is simple: people don’t like giving out their information, may not want to be on a mailing list (real or imagined), or may be suspicious about how much of what they’re putting down is actually needed. In order to help cut down on your contact forms and get higher conversions, it helps to think about what the truly key bits of information are. What three bits of info can you make the most out of? For instance, if you don’t ship any physical products, do you really need to know a home address? If you don’t make phone calls, do you need a phone number? Is knowing a customer’s age important? You should also consider what information might be obtainable through other means. For instance, if you are deciding between asking for a phone number or address, but don’t need to ship anything, stick with the phone number since the area code can be used to get a sense of where your users originate from. If you don’t know whether to ask for an email or phone number, why not let the user choose which they want to provide? Not all fields need to be mandatory, after all. There are, of course, exceptions to this. The form may grow in length depending on where it appears in the buying cycle, and there are certain situations where people would expect to have to give their age, address, etc. In spite of this, keeping your optimized contact form short helps build trust with the user and makes the process easier for them overall. People do a lot on their phones, tablets, or other mobile devices, and you should anticipate that some users will be trying to fill out your contact form on something other than a computer. Test how your contact form appears on a mobile device. Does it fit on the screen? Is it still readable? Can users select different fields easily? These are important questions to consider when making sure your contact form—and your web site in general—is mobile friendly. Some sites do not have a separate page for their contact form and include it in a sidebar on their home page or another part of their web site. One technique for improving web site conversion rates is to make the form appear above the fold, to the part of the screen that can be seen without any scrolling. This brings the form to a user’s attention and can help in situations where someone clicks on your page and wants to move forward, but doesn’t immediately know what to do. Numero Uno Web Solutions works to improve the web site conversion rates of our clients’ contact forms using all of the above tips and more. Our techniques and strategies take into account the latest developments in SEO and web marketing research, along with tried-and-true approaches. Our precise, studied methods and contact form optimization services have benefited Toronto businesses along with industries across Richmond Hill, Vaughan, and more. Our success has even allowed us to extend our reach and offer SEO services to Texas, Massachusetts, and Florida. For any business looking to achieve higher conversions, we are just a call away at 1-855-SEO-XPRT.